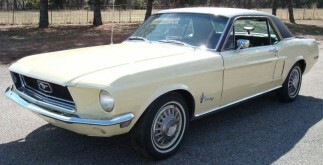 The Easter Collection of Colors is not a real Mustang special model, just an interesting sales promotion opportunity which comes up once a year for any dealer who wants to create a unique sale. A 1968 Easter Color Collection Mustang Promotion could have been inspired in 1968 by the unveiling of Eastertime Coral as April's special color for the Color Of The Month national Mustang Promotion. 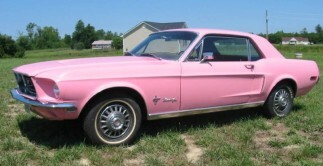 Ford dealers could park the new Eastertime Coral Mustang next to a Seafoam Green, Meadowlark Yellow, and Diamond Blue 1968 standard factory color Mustangs and a Passionate Pink Mustang left over from the Valentine's day, February color of the month. This is an April 7th, 1966 advertisement by Jackson Goldie Ford in the Oakland Tribune of Oakland, California. 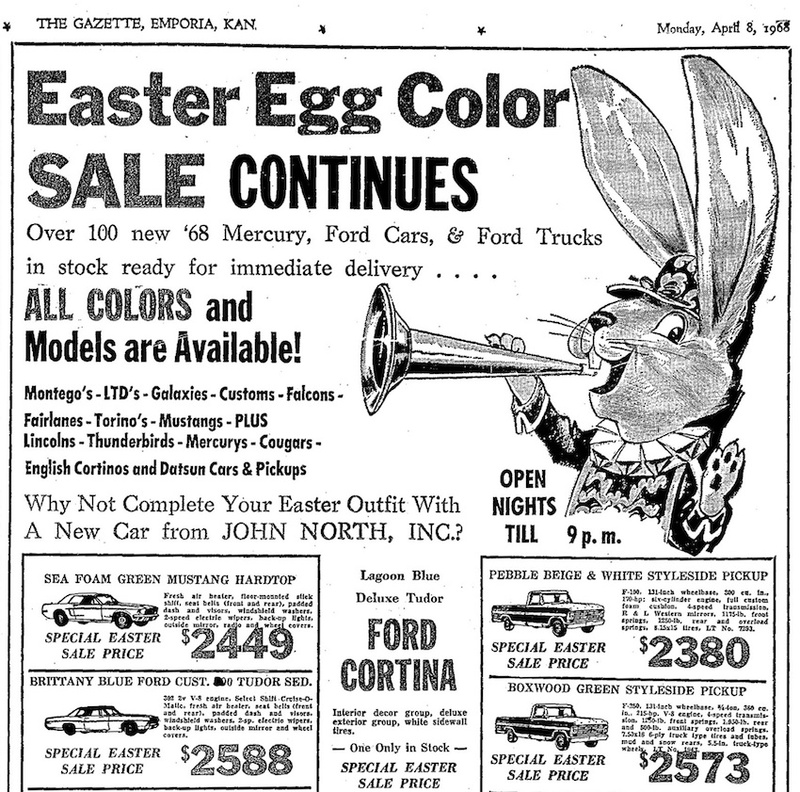 This is an April 8th, 1968 advertisement by John North Ford in The Emporia Gazette of Emporia, Kansas. 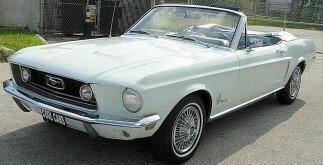 Only two Mustangs were listed, one Seafoam Green and the other Brittany Blue. We're only showing the top part of the ad, click on it to see the full version.